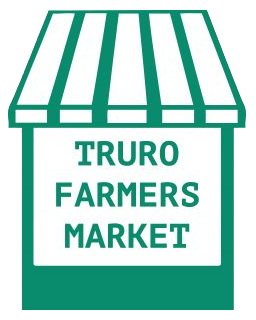 Truro farmers Market have for some years now offered its customers a range of ‘take away / fast food’ options, notably Ruby Junes Indian Kitchen (Curry) but with the loss of Joe, our “Artisan Crepe” producer 2 yrs ago we had a vacancy for a “sweet treat” option for our customers. 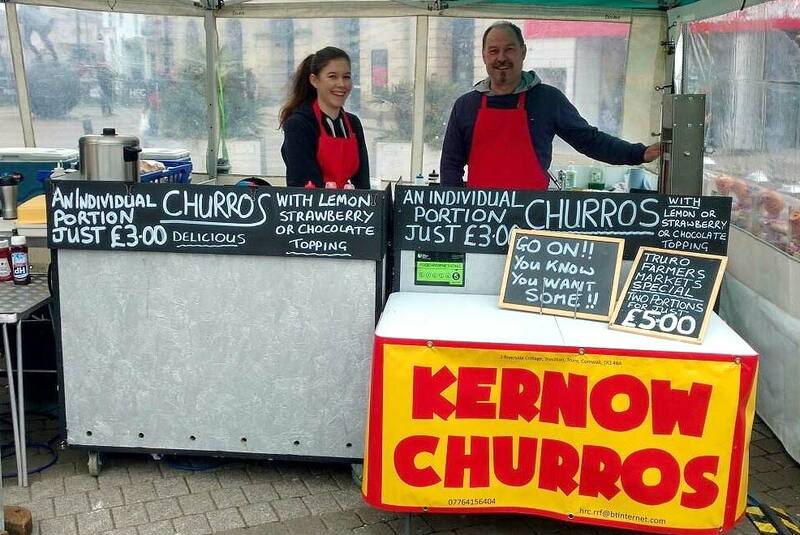 I then set up “Kernow Churros” selling freshly made delicious Churros (which is based on a Spanish fritter dish). Most countries, cities & towns have their own versions of Churros, our version we like to describe as “A Spanish dish with a Cornish twist!” After being dipped in plain or cinnamon sugar they can be drizzled in either chocolate, caramel, strawberry or lemon sauce/toppings! An ideal lunchtime or afternoon treat! There are two basic options, a standard “individual” portion containing 4 Churros at £4.00 or our newly launched spectacular “Giant Churros” at only £2.50! Its usually about 30cm ( a foot) long, comes drizzled in the topping of your choice & if you are young enough, covered in “sprinkles”!! Our Churros are freshly mixed & cooked right in front of you. We never use ‘pre-mix’ & never use ‘brought in’ mix in sweaty plastic bags, we like to keep it totally fresh! ← Tregassow Asparagus is Back!